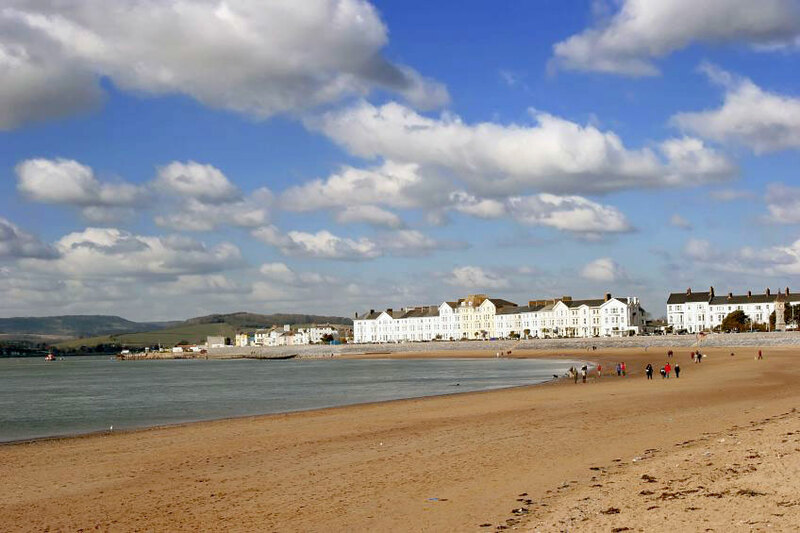 As the name implies, Exmouth lies where the River Exe meets the sea. It is a good base from which to explore this part of the Devon coast and some of the inland towns and villages. Exmouth boasts the longest seafront in Devon and Cornwall along two miles of golden sand, rare on this coast, and fascinating rock pools, making it a paradise for family holidays. The estuary of the River Exe is well known for its wildlife. The town has the advantage of good road and rail links. Avocet Train Line derives its name from the bird which winters on the Exe estuary site, internationally important to birdwatchers. There are lovely views of the River Exe along the line. The ferry leaves Exmouth Dock, once a centre of thriving industry, for Starcross across the estuary. One local attraction is the Great Exmouth ‘00’ Model Railway, the largest in the world of this gauge and set in realistic scenery on the seafront. 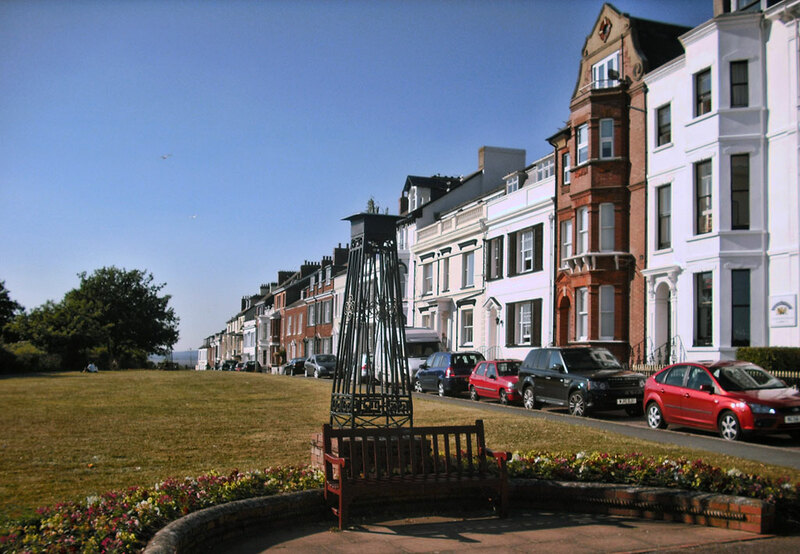 Exmouth has a lively town centre and is one of Devon’s larger urban areas. It has a busy shopping centre, an indoor market and shops of many kinds catering for all tastes. The Magnolia Centre is a pedestrianised area ideal for family shopping away from traffic. There are beautiful flower displays there in summer. Two parishes, Littleham and Withycombe, make up Exmouth today. These date to pre-Saxon times. Exe is an ancient Celtic word for fish but the town was not always known as Exmouth. In 1240AD a central part of today’s town was sold to the mayor and citizens of Exeter, its name being Pratteshuthe, meaning Pratt’s landing place. This was the site of the estuary’s ferry dock. The name evolved into Pratteshide and, as the town grew up around the quay, it became known as Mona Island, now just a seating area adjacent to the Magnolia Shopping Centre. Prior to the damaging bombing raids of the Second World War, Market Street was the original site of the town’s market place. A memorial to those who died stands in the Strand Gardens. The gardens were built on the original site of the Market House. This building was demolished and replaced by an enclosed green in 1869. As the name suggests, the Strand started as a row of buildings that ran along the shore of an inlet. The inlet was formed by a spit of sand that reached into the estuary ending in a tip known as The Point. Human occupation of the Point can be traced back to the 11th century, when it was known as Lydwicnaesse, the point of the Bretons. Roman coins have been unearthed in the Exmouth area, but there has been no further evidence of a Roman settlement here. It is thought that the lack of more considerable human history in the area is due to its exposed position. Only in the 13th century did it begin to develop when a windmill was built here. The windmill, a ferry dock and a small scattering of farm buildings formed the early stages of a town. As commerce grew the focus of the town became the cross in Market Street and Chapel Street, now the Magnolia Centre. South Street developed adjacent to the main route from Littleham. This route ran along the parish boundary, following the course of an ancient stream. The only remaining evidence of the stream is a raised walkway fronting a row of houses on Fore Street. For many years the town’s growth was slow. The shallow water at Pratteshide Quay restricted the size of shipping. In addition, Exeter held control over the estuary; only with the Mayor’s permission could any captain unload his cargo at any point other than Topsham. The roads were also largely unmade. The town really began to establish itself during the 18th century when visitors were attracted by the views and medicinal salt waters. 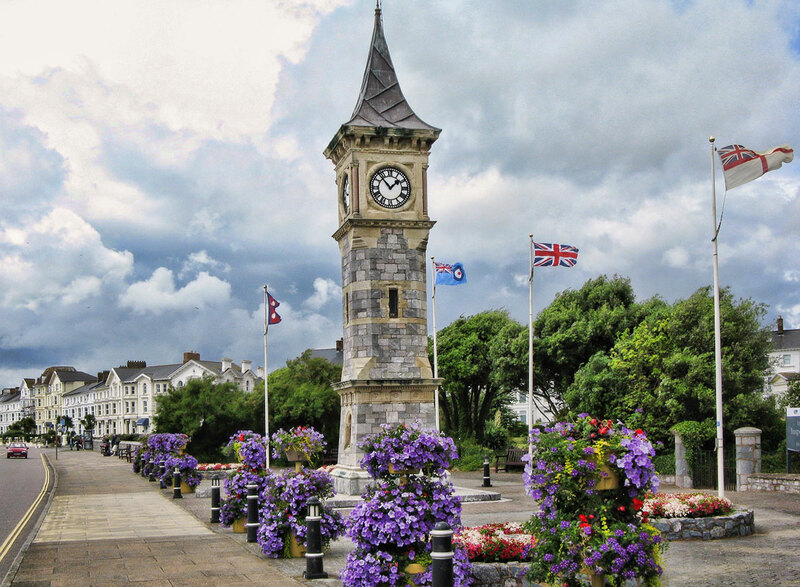 Exmouth became renowned as a destination where wealthy men and women might recover health. The Parade, a raised gravel walkway along the side of Pratteshide Quay, gave people opportunity to stroll and take in the picturesque views of the estuary and the attractive grounds of Powderham Castle. Today, this promenade forms a raised pavement with shops and flats on both sides. Walks and gardens along the Beacon Breccias were put down towards the end of the 18th century and in 1791 the first stone of Beacon Terrace was laid. The attraction of The Beacon was that it offered panoramic views. People of wealth and notability owned homes along this terrace. The area on which the houses were built, Beacon Fields, were where warning fires had formerly been lit in times of danger. The town’s present identity grew out of the boom following the rail link in 1861 soon to be followed by the building of the Imperial Hotel. To the front of the hotel stands the Clock Tower, commemorating Queen Victoria’s Jubilee. Many of the buildings surrounding the Strand Gardens were rebuilt around this time. The Public Hall, opened in 1887, later became the Savoy Cinema and is still there today. Many of the bricks that were used to build this development came from the brick works at Withycombe Village. One of the buildings worth looking out for is The Barn Hotel in Foxholes Road, built by the architect Edward Prior in 1897. It has been described as the most important architectural building of its time and was designed in the form of a butterfly. Today Heritage Town Trails encourage visitors and locals to understand and explore the town’s history. Places such as the Old Docks, Mona Island and the houses on The Beacon feature in town walks. Blue Heritage Plaques are displayed on the buildings and sites of interest and the Exmouth Museum also holds many interesting exhibits of the history of the town.